We' 'Us' and 'Our' means the supplier of goods. Payment of your deposit and signature on your booking form, is deemed as you having read, understood and accepted our terms and conditions. The hirer is the person named on the booking form and who has also agreed to all the terms and conditions. 1: All hire goods remains the property of The Owner. 4: The contract from the hire of goods is between The Owner and The Hirer. It is the Hirers responsibility to ensue that the venue is clearly instructed so that the terms and conditions are met. 6: A refundable security deposit is required for all hired Goods, this is held until the return of hired items to The Owner. The deposit is returnable if no loss or damage has occurred to hired items. 11: If goods are not returned at the end of the agreed hire period The Owner has the right to charge for the cost of replacement Goods. 14: We cannot be held responsible for adverse weather conditions, where the event is cancelled due to bad weather on the day of the event the full amount payable is still due. 16: Where a booking is made near to the event the contract will be emailed to the hirer prior to payment. Payment of goods or services will mean the hirer accepts the terms and conditions as listed. 18: A non refundable deposit is due when agreement has been made by both parties for the booking. 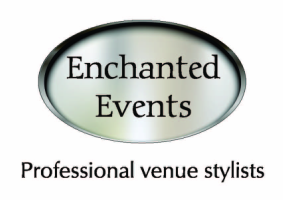 The deposit allows The Owner to keep the date free for your event. 22. The client is aware that the surface which the floor is to be laid, needs to be both flat and dry. An uneven floor can result in the LED panels not working as the panels cannot connect properly. Our staff have the right to refuse to lay the dance floor if they find the surface on which it's to be laid is either uneven or wet. 25. The client must be aware that it is their responsibility prior to booking our dance floor to ensure the correct size is ordered and will fit your venue. Once our fitting team are at your venue they will only lay the floor size suitable for the space provided by your venue. In the event that the area is smaller than the dance floor size hired then no refund or monies returned will be due to the client. 26. Our dance floor fitting team will always take photographic evidence of every dance floor set up once it is in working order. We will also ensure a member of staff from each venue signs to confirm the dance floor is in good working condition before we leave the premises. The hirer will not be entitled to any form of refund due to the dance floor failing to work after our staff have left the venue will all relevant paper work signed.